Hiking experience on the Sorrento Peninsula, walking right in front of Capri Island. The ancient Roman road, Via Minerva, leading from Termini to the final point of the Peninsula called Punta Campanella, attracts with its magic romantic people. Starting from main square of Termini (Suburb of Massa Lubrense) follow the signs that lead to the right towards Punta Campanella. Continue on the main paved path that runs along the side of the Mount San Costanzo and through vast olive groves. 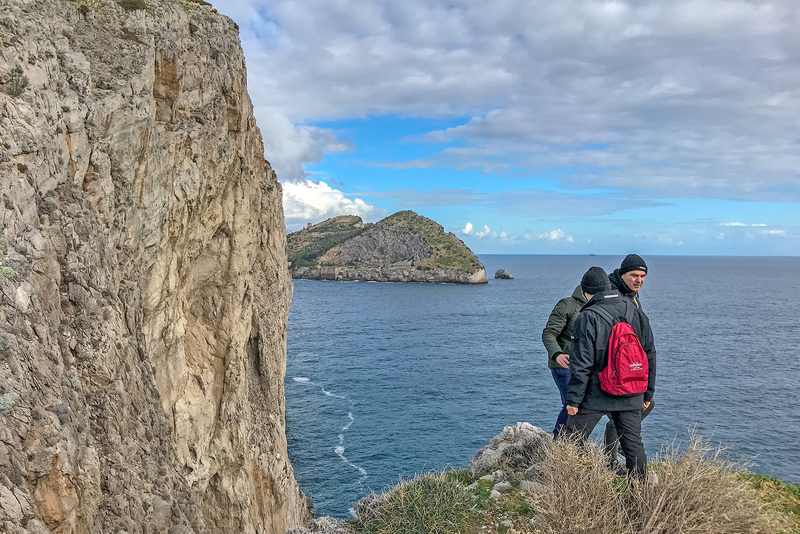 The trail offer beautiful views of the fascinating Cala Mitigliano, Capri and the gulf of Naples. You arrive to Punta Campanella, once the site of a temple dedicated to Athena (Under Romans: Minerva), today at this site you find a medieval tower and some ruins of Roman walls and a modern lighthouse. From here you start to go up towards Mount San Costanzo until you reach 439m of altitude nearby the pine forest where there is the Monastery San Costanzo. 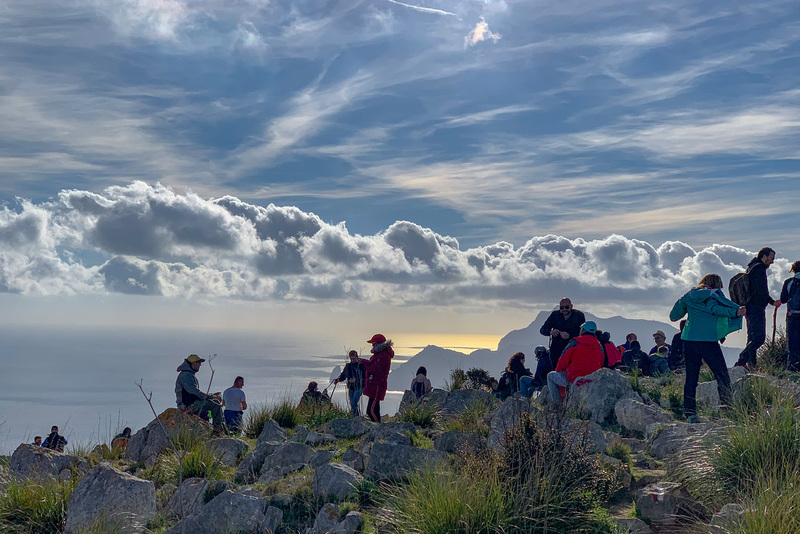 From the monastery you can choose to take the ladders leading to the starting point or continue to descend on the trail that after a plane section go downhill along the east side of Mount San Costanzo and ends in the main square of Nerano (Suburb of Massa Lubrense). From Nerano take the stairs and continue along a road that crosses olive and lemon groves until reach Termini. avoid walking the trail if you have serious vertigo problems. Round walk, so starts and ends at same place! 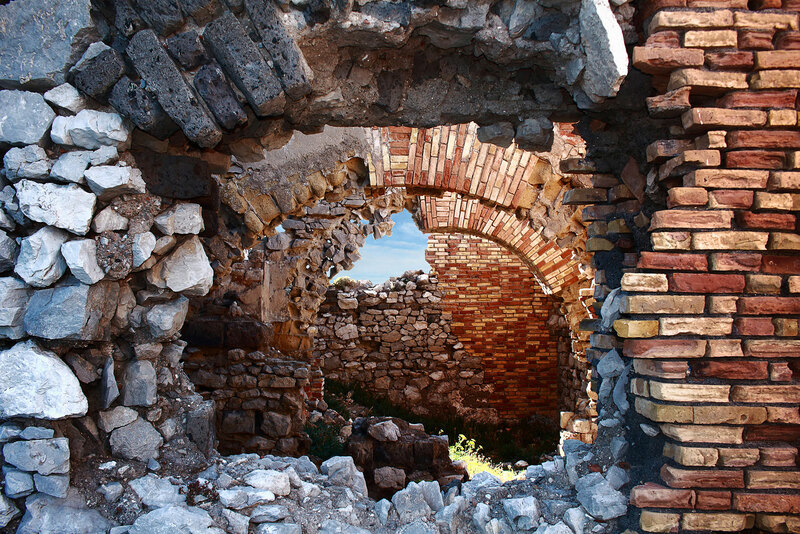 Overlooking the sea all the time, and visit historical ruins! Some pictures taken walking along ancient roman road going tin front of Capri Island. Before to start your hike, or decide to order/buy a full map of the walk, here you can download a single map of this trail of Sorrento Peninsula. If you don't need guide or map to visit Sorrento Peninsula, so you can easy upload and follow a track on your smartphone, rembemer to using it only under your responsibility!